You’ve read guest posts and interviews from our outstanding Community Leaders in Greece, Rome, and Cape Town, but one person who you haven’t heard from is our Ecuador Community Leader: Haley Smith! Although Go Global will not be traveling to Ecuador this coming summer, it’s a place that we love, and we want to share that love with you. After all, your wanderlust is just as strong as ours! Wanna take a glimpse into another continent? 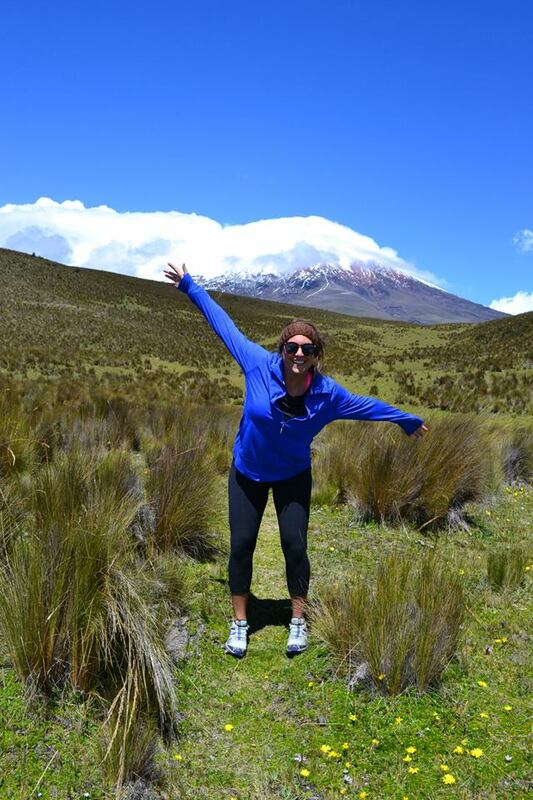 Haley’s guest post will show you just why Ecuador, and all of South America, might just make the cut for your next travel experience. “For as long as I can remember, I have always had a desire to travel and experience different cultures. I could not wait until college so that I could finally study abroad and figure out if traveling was something I was actually passionate about. Never in a million years did I think I would end up going to Ecuador and the Galapagos Islands as my one opportunity to study abroad, but when I met Carolyn, I knew that this was the journey and program for me. Seven months later — there still isn’t a day that goes by where I do not think about the life changing experience I had while abroad in Ecuador. Each day was filled with adventure and non-stop laughter and fun. I left with 19 best friends, a heart filled with wanderlust, and experiences that changed my life. I learned more in a summer than I ever have in a semester. D-Chan made learning exciting. His enthusiasm, passion for different cultures, and wise soul made going to class each day easy. Before going to Ecuador, I did a little research and found the main excursion that I had to do while I was abroad. The “swing at the end of world” at Casa del Arbol in Banos, Ecuador is a swing that is hanging from a tree house that swings over the edge of a massive canyon facing Tungurahua volcano. Little did I know, the swing at the end of the world was the lesser of exciting things I had the opportunity of doing while in Ecuador. I went Bungee jumping, biked a volcano, swam in a river in the middle of a jungle, went to a butterfly garden, hiked mountains with the most incredible views, visited an indigenous community, learned how to salsa dance, and so much more. The second week was service week. None of us had any idea what to expect. We helped out at a school called Honrar La Vida, and this is where I left a chunk of my heart in Ecuador. Those kids changed my life and helped to teach me so much about myself. They have so little, yet want to give so much. They inspired me, and continue to do so each day. At the end of my four weeks in Ecuador, I took a 2-hour flight to the Galapagos. I remember getting off of the plane, dripping sweat in the middle of the desert thinking “this is not the paradise I expected.” After a one hour van ride with a man who only spoke Spanish (I had learned enough to get by at this point), a 2-hour ferry ride, and a ride in the back of a tiny truck, I finally saw the paradise that is Galapagos. I saw animals that I didn’t even know existed, swam with sharks, sting rays, and sea turtles, went cliff jumping, and explored old ancient ruins. I had the pleasure of being Haley’s roommate on a Go Global Community Leader retreat in Atlanta. She is SO passionate about Ecuador and the incredible experience that she had abroad. If you’re thinking about having a South American adventure … Haley is just the person to talk to! And for all my Bachelor lovers out there, you may be interested in reading Lesley Murphy’s travel blog (pictured as the feature image for this post!) about her South American extravaganza. Highly recommended! And for all you Spanish-speakers: If you’re looking to go abroad this summer in a Spanish-speaking country, we don’t currently offer one directly, but we do offer the GO: Rome program which allows you to travel throughout Europe (should you choose to do so). Look into it! And if that’s not for you…Go Global may just have something exciting to share with you about next summer’s opportunities. Stay tuned. « Cape Town Corner: Don’t Miss Your Chance!